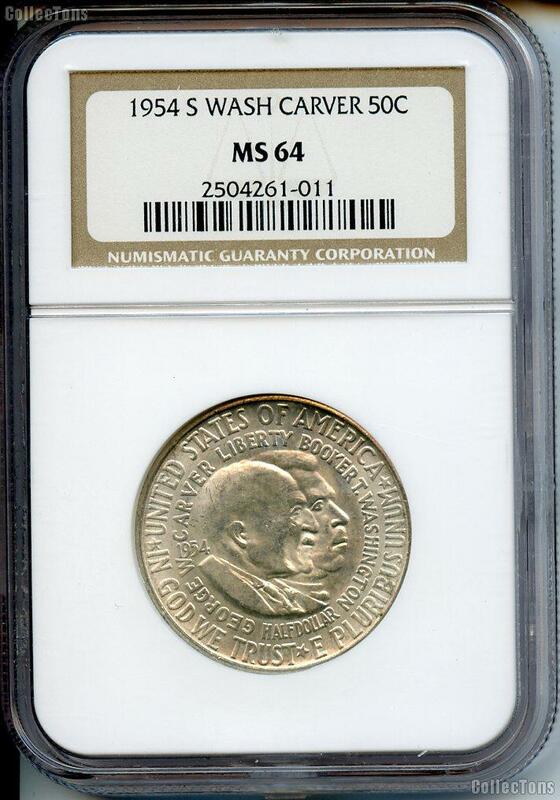 This listing is for a 1954-S Washington Carver Commemorative Silver Half Dollar graded and encapsulated as MS-64 by NGC. We've just purchased a group of these BU Washington Carver Commemorative Half Dollars in NGC holders. The NGC holder style may vary and most of the coins do have toning. Don't miss your chance to own these at this wholesale price!